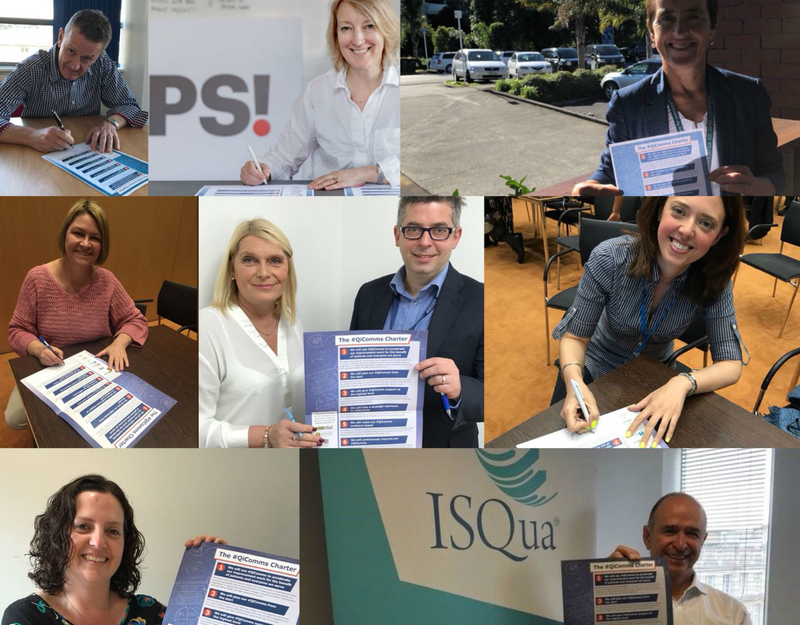 Over 50 healthcare improvement organisations from across the world have signed up to The #QiComms Charter since it was launched at the International Forum on Quality and Safety in Healthcare in Amsterdam last month. From Australia to Bahrain, South Africa to Denmark, India to Wales, Saudia Arabia to the US, improvement leaders have been committing to recognise and integrate strategic communications into their work. “It has been encouraging to see the positive way in which the Charter has been received,” said Inge Kristensen, CEO of the Danish Society for Patient Safety. She was one of the first CEO’s to sign the Charter when it was launched in May. We will put people at the centre of our #QiComms. “We are encouraging all colleagues who are committed to improvement to sign The #QiComms Charter to support their work and contribute to the wider conversation around the impact it can make,” said Inge Kristensen.